If you’ve looked at the long-term historical trends of the stock market, this should have come as no surprise to you. It was never a matter of if this would happen. It was only a question of when. FACT: Wall Street’s dirty little secret is that it’s the norm, not the exception, for the stock market to end up going nowhere for very long periods of time. Over the last 80 years, for 52 of those years, the Dow was in a stall for ten or more years. (By “stall,” I mean it ended up back where it was ten or more years earlier.) 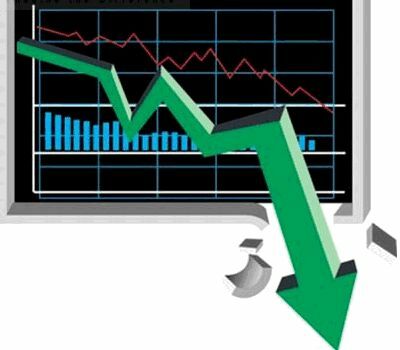 That means about 65 percent of the time the market was at a standstill! FACT: After the stock market crashed in 1929, there was a six-month “sucker” rally, and then the Dow continued tanking, ultimately taking three years to bottom out… down a staggering 89%, and then taking twenty-five years just to return to its pre-crash level. Could something like that happen again? I don’t know. And neither does anyone else, including all the talking heads on TV and in the magazines and newspapers. And that’s the problem – most people have been pinning their hopes for financial security on things they can’t, never could, and never will be able to predict or count on. So the big question to be asking yourself today is, in the immortal words of Dirty Harry – Are ya feelin’ lucky? 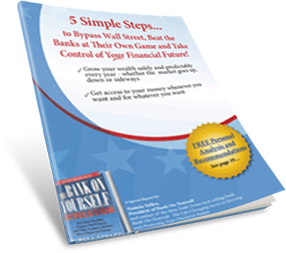 Take back control of your financial future – starting today. Grab your copy of my new book, Bank On Yourself here.